We reckon a Mayday holiday weekend is pretty much the ideal slot in the calendar to get out there and do a spot of exploring. The expectant air of springtime, combined with London’s seemingly limitless supply of blossoming neighbourhoods, means there’s no shortage of places worth a day trip. And read on for our timely special offer too: free driving and discounted membership of Zipcar’s pay-as-you-go network of vehicles, ready to be picked up from street corners dotted across the UK. Why not take the road out east, where you can enjoy a lazy gander through the wooded Wanstead Park or open grasslands of the Flats, before making some unexpectedly foodie pits stops? Our tips include country-pub-in-the-city, The Duke, or the stone-baked pizzas and 50-strong craft beer menu at Luppolo back on the main high street. For a longer bank holiday sortie, head out to ‘James Bond country’ at St Margaret’s Bay in Kent, incredibly only about an hour’s drive away. Stay at the White Cliffs Hotel, stroll on the dramatic beach, visit a tea room or go on a Fleming pilgrimage to the missile site from Moonraker, or the Royal St George’s golf course in nearby Sandwich, as seen in Goldfinger. Fill your car to bursting with bottles of honey-infused Hiver Beer, whole sides of organic smoked salmon, or loaves of dense and wonderful rye bread. 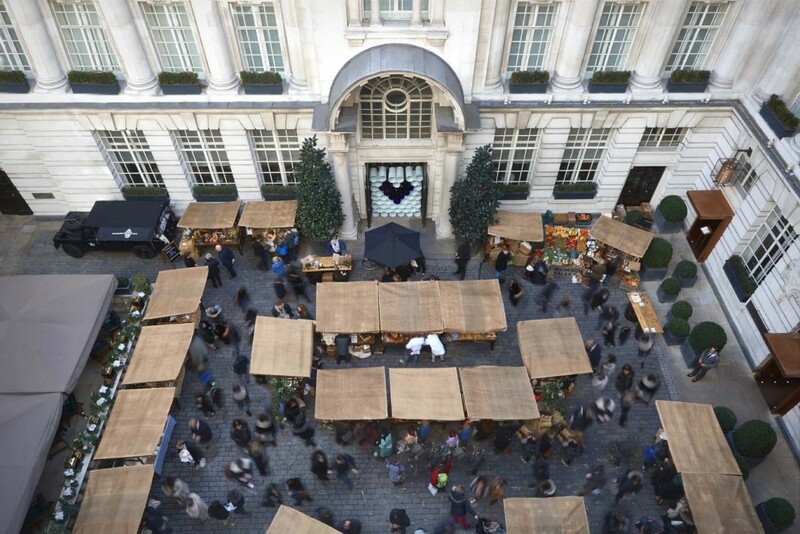 The hip Rosewood London Hotel hosts the capital’s first weekly Slow Food & Living Market every Sunday, in the stunning surrounds of their listed Edwardian courtyard. Once all the artisanal supplies are safely stowed, you might want to have brunch at the hotel’s lavish Mirror Room restaurant too, featuring an unlimited spread of goodies plucked straight from the stalls outside. Alternatively, head south to the weekly street market at Herne Hill, where the usual tempting breads, cakes and meats are joined by a decent selection of vintage clothes stalls and jewellery traders too. Plus all this month there is a free film festival running at four local venues, including outdoors at Station Square and Brockwell Lido. Start off with a Full English at Johnnies and then head along SE22’s very own street art trail, where you’ll discover the walls around Lordship Lane have been splashed with pieces inspired by the work of Rembrandt, Rubens and other greats found hanging in Dulwich Picture Gallery. As our reporter Graeme Claridge discovers, the art bring unexpected colour and character to an area traditionally seen as quaint and even a little stuffy. 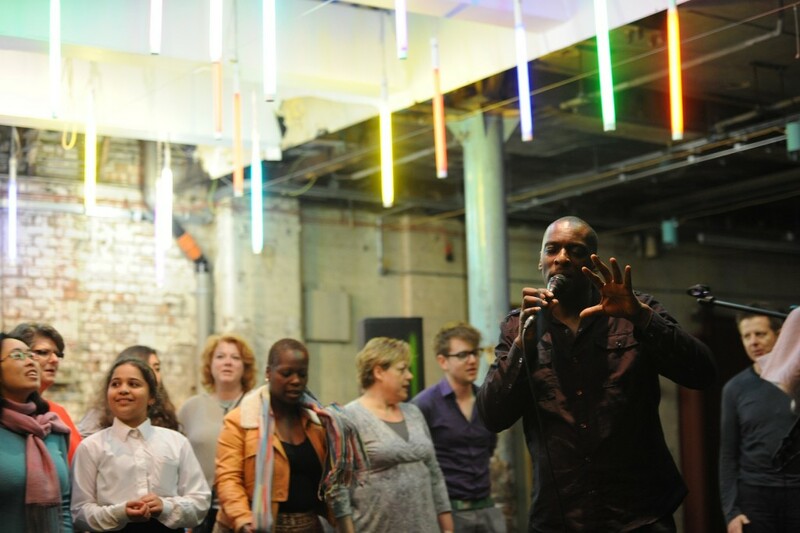 It’s a perfect time to visit this part of town, as the popular Wandsworth Arts Festival runs across the next fortnight with over 70 events to enjoy. This community fringe bonanza takes in pop-up performances, picnics, plays, comedy, cabaret, talks and tea parties across the borough. So a great way to explore and get under the skin of the area. We’re fans of using Zipcar here at Kentishtowner; we can often be spotted, badly parked, sweaty hauling bundles of print editions from the back of a local Zipvan. It’s the UK’s biggest car club, with over 1500 vehicles waiting to be picked up, and almost everyone living in this part of London is only a 10 minute walk to their nearest one. To get the special offer, enter the code KENTISH20 when signing up. And if you can’t make use of the free driving credit for a getaway this weekend, don’t stress, it’s good for a month, so might come in handy for that dreaded Ikea shopping trip, or perhaps to score brownie points dropping the folks at the airport. It’s a four-wheeled freebie of your choice. • Kentishtowner readers join Zipcar on an annual subscription for just £40, saving £19.50 on the normal annual membership. • £20 driving credit represents up to 3 hours in a VW Up! or Vauxhall Corsa on a weekday and will be credited against the member’s driving usage balance. • To join Zipcar you must hold a valid driving licence. • Offer cannot be cancelled, exchanged or refunded or used in conjunction with any other offer. • This offer is valid for new members only, in their first year and not valid for existing members renewing their membership. • New members joining Zipcar on this offer must comply with Zipcar’s membership eligibility requirements. Learn more here. • Driving credit must be used within 30 days of offer redemption. • Make sure you have your licence and payment card handy when applying, and you’ll be on the road in no time. • Offer expires on: 22nd May 2015.